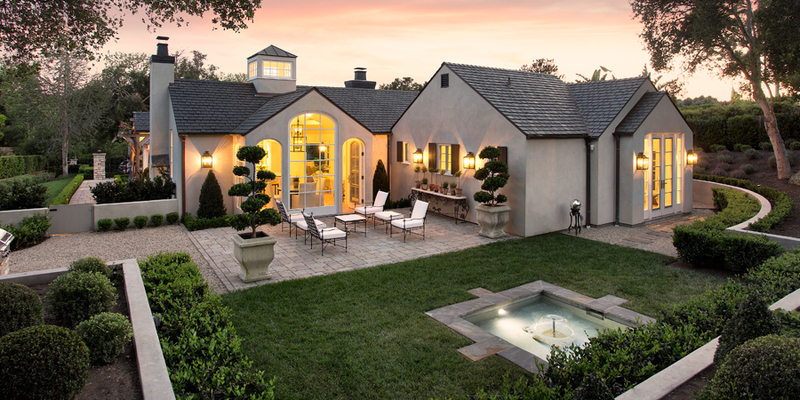 Designer and antique collector Lee Kirch originally envisioned this property as a part-time residence in Montecito. However, it needed work. She called Giffin & Crane and architect Jane Snyder, already on speed-dial from Kirch’s previous project. Following Kirch’s vision of clean, minimalist living, highlights included vaulting the kitchen ceiling and adding square footage to the master suite. Here’s Kirch with more detail about the project’s backstory and a few of the challenges met along the way. How did Giffin & Crane become the builder of this project? Kirch: I was fortunate enough to work with Giffin & Crane on a project I was designing for a client nearby. It was a success, and I enjoyed working with G&C enough to contact them when I decided to do the remodel on my place. What about Jane Snyder and Mosaic Architects? Jane actually did a home for me in Vail, Colorado, and also the project [I mentioned above]. When my remodel came up, I reached out again. Giffin & Crane and Jane Snyder make a good team. I find it easy to feed my ideas to Jane and she turns them into reality, with G&C to complete the circle. What sort of customer service did G&C bring to the table? Geoff Crane is a reliable and talented person to work with. I am very specific with my input — sometimes to a fault! — and working with me can be a challenge. The team and I were very successful in completing a project we all can be proud of. There were structural issues with this home, and resolving them was a difficult task to overcome. But we were quite successful. How would you describe the extent of the remodel? It was extensive. What I thought was going to be a somewhat simple remodel turned into a full-blown redo from top to bottom. What was it that made you decide it needed work, and what was the basic to-do list? The house had good bones, and it’s a great location. It was a one-level dwelling with north- and south-facing windows — perfect light for me. But it needed to be updated. The house was dated and basic maintenance had been somewhat neglected. We found foundation issues not meeting code, drainage was an issue, utility lines needed to be brought up to code. Along with all the design ideas I had in mind, the challenges became significant. But I had immediately seen the potential to turn this home into a little jewel. Mission accomplished. The timeframe must have gotten pushed out a bit. The timeframe changed as the [amount of required] work changed. The quality of workmanship G&C brings to the table really shows in the finished project. This takes time to accomplish, and had we not had the structural issues, I do think we would have had this project completed on time. The fun part of the project — of any building project, really —is in the details, and Giffin & Crane knows how to execute the details. Their workmanship is impeccable. I originally planned to make this a part-time residence. I can honestly say it has become more and more difficult to leave the comfort of this home. It is a joy to live here.